Roy H demonstrated why he will receive a second Eclipse Award this week with a four-length demolition of the Palos Verdes Stakes Gr.2 at Santa Anita on Saturday. The Champion son of More Than Ready was in cruise-control first-up since a second Breeders’ Cup Sprint Gr.1 crown at Churchill Downs in November. He tracked stablemate Conquest Tsunami and then drew off under double-wraps clocking 1.08.89s for 1200m. 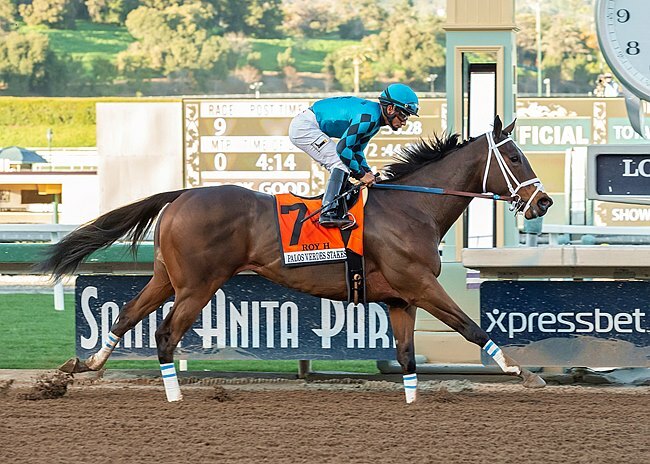 Texan philanthropist Ramona Bass bred him by using Vinery legend More Than Ready over Hollywood Park Railbird Stakes Gr.3 winner Elusive Diva (Elusive Quality). A second excursion to Meydan for the Golden Shaheen Gr.1 on March 30 is the next assignment for Roy H following the Eclipse Awards. He didn’t handle the travel last year when third to Mind Your Biscuits.